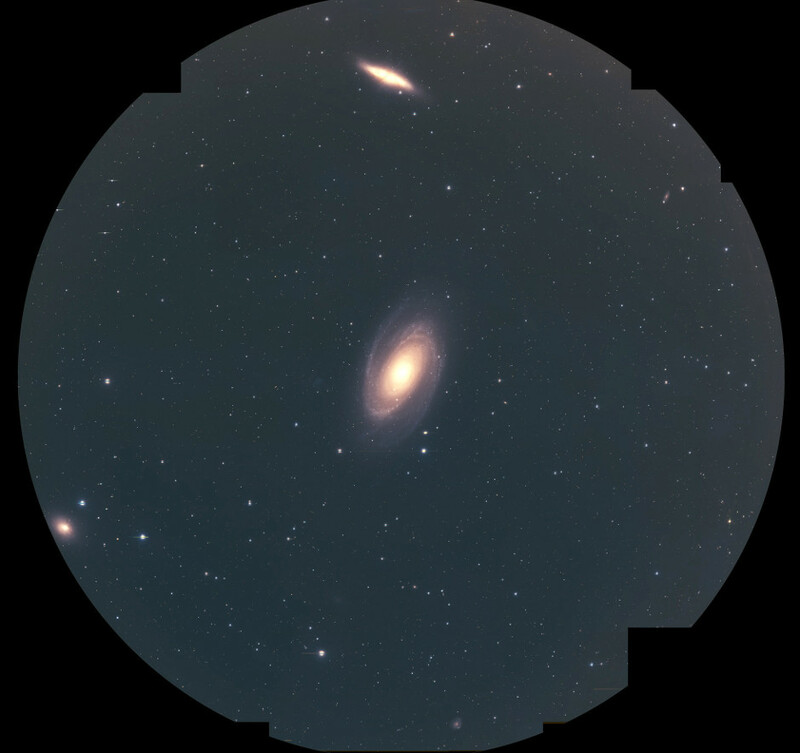 Pseudo-colour images from the Hyper Suprime-Cam prime-focus camera on the Subaru Telescope which contains Messier 81 (centre), Messier 82 (top), and NGC 3077 (eight o’clock position on the edge of frame). The diameter of the field of view is 1.5 degrees. Image credit: NAOJ/HSC Project. The extent to which galaxies consume one another is revealed in research that helps to explain how galaxies such as the Milky Way were formed. A team of scientists has used a highly sensitive instrument on one of the world’s largest telescopes to witness a dominant galaxy ingesting the stars of its near neighbours. Astronomers took extremely wide-view, long exposures of a nearby group of galaxies known as the M81 Group, which lies 11.7 million light-years from the Milky Way. They observed the dominant central galaxy, M81, capturing stars from its two nearest neighbouring galaxies. The gravitational pull of M81 was shown to distort the shapes of the other galaxies, pulling their stars into long tails, in a process called tidal stripping. 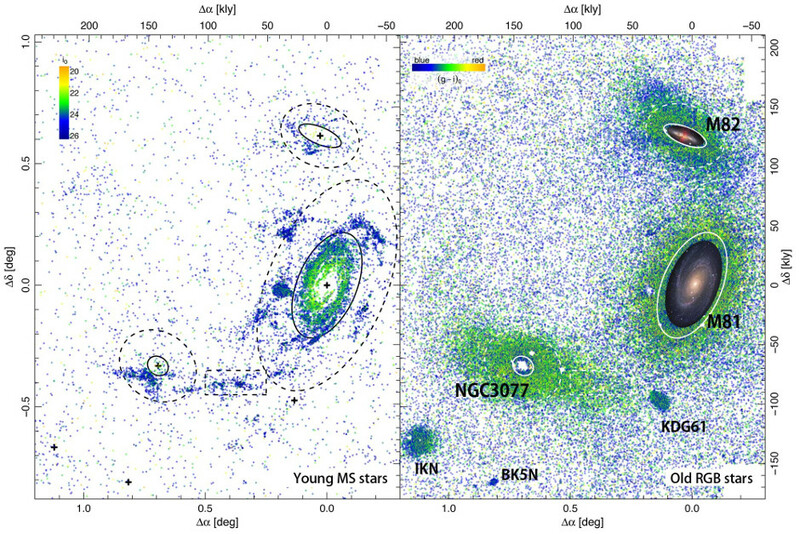 The images reveal for the first time how the stars from smaller galaxies are being ingested into M81. It is expected that eventually the smaller galaxies will be devoured entirely. Young main-sequence (MS) stars and red-giant branch (RGB) stars around M81, M82, and NGC 3077. 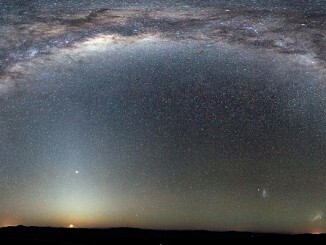 Left: yellow is brighter stars, and blue is fainter stars. Right: colour-coded for the metallicity, yellow is metal rich, blue is metal poor. Solid line shows the R25 radius of the galaxy measured in visible light. Image credit: NAOJ. The team, including researchers from the University of Edinburgh, were not surprised to see this process taking place, but the degree of interaction witnessed exceeded their expectations. Findings from the study add to two decades of research during which evidence for this process has been mounting. In the early 1990s, scientists discovered that our own Milky Way is in the process of subsuming a smaller system known as the Sagittarius dwarf galaxy. The study, to be published in Astrophysical Journal Letters, was conducted using the Hyper Suprime-Cam on the Subaru Telescope in Hawaii. It was carried out by astronomers from Shanghai Astronomical Observatory, the National Astronomical Observatory of Japan, the Universities of Edinburgh and Cambridge, and Hiroshima University. 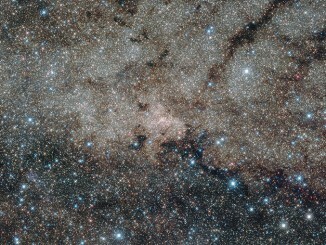 When our galaxy was born, around 13,000 million years ago, a plethora of clusters containing millions of stars emerged. But over time, they have been disappearing. However, hidden behind younger stars that formed later, some old and dying star clusters remain, such as the so-called E 3. 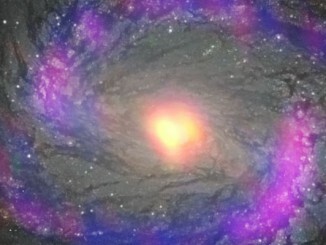 European astronomers have now studied this testimony to the beginnings of our galaxy.